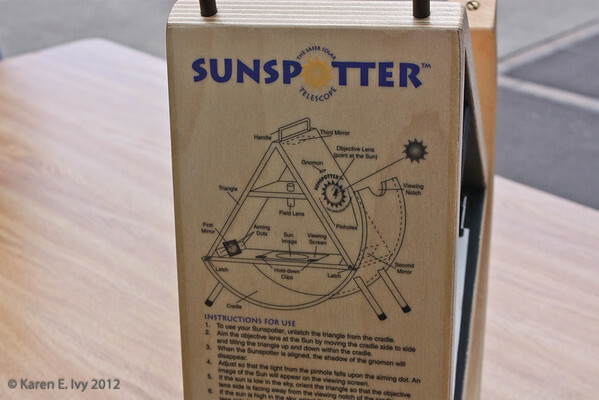 The amusing thing about the SunSpotter is that they had probably half a dozen of them sitting on tables with NO lines at all, you could just walk up and look at them. At the same time, hundreds of people were standing in two very long lines (which stopped dead whenever the clouds closed in, of course) to look through the two sun telescopes set up on the plaza. 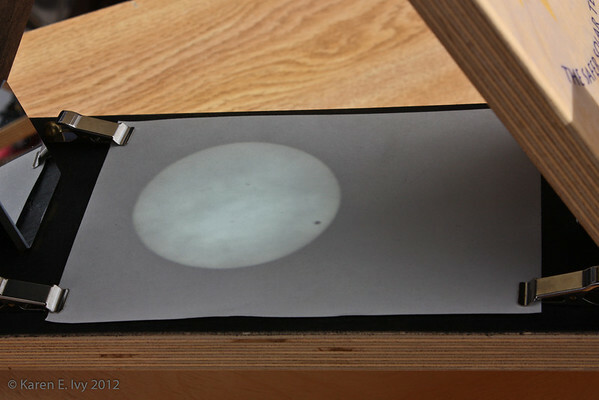 If you've ever looked through a 'scope, you know that the image is very small and tiny details are not terribly clear, while the SunSpotter gives you a lovely clear view about the size of a saucer. You can see, as Galileo said, that "yet it moves"! 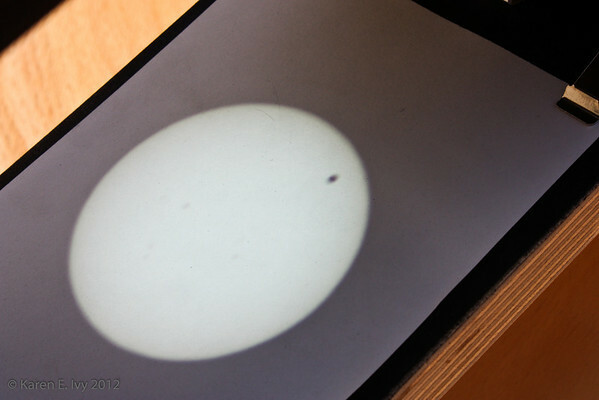 The other 8 photos, plus some shots I took of the crowd, the kids playing on the DNA spiral and the stone whale in the plaza, and the San Francisco Bay (Lawrence Hall of Science has fabulous views), are at Transit of Venus 2012 – enjoy! This entry was posted in Nature, Photography and tagged Science.